Salt Lake City quartet The Backseat Lovers move fans with their emotional indie rock and unstinting work ethic. With Sundance in the books, the biggest snowstorm of the season behind us and Valentine's Day dead in our sights, we're all looking for a little love. Luckily, Salt Lake City quartet The Backseat Lovers have affection to spare: for their fans, for themselves and for the process of creating their infectious blend of indie rock, bedroom pop and glam strut. From the very first song off their very first EP—2018's Elevator Days—Joshua Harmon (lead vocals/guitar), Juice Welch (drums/vocals), Jonas Swanson (lead guitar/vocals) and Ethan Christensen (bass) have plucked nostalgic heartstrings. On "Out of Tune," they sing lovingly of being "introduced to rock 'n' roll, YouTube and girls." On "Pictures," they juxtapose the reading of scripture with a plan to "move out to the coast/ gonna figure out what I like most." On "Still a Friend," The Backseat Lovers flash their hand of Dr. Dog-by-way-of-Weezer influences most obviously, Harmon wailing over staccato guitar crunches before the song's instrumental bridge slows to a psychedelic crawl. Even when they were brand new, these young Utah 20-somethings knew the right way to "Address Your Letters." Who else has the chutzpah to sample John Lennon addressing the Queen of England over tender fingerpicked guitar and emotional lyrics about "kiss[ing] my youth goodbye?" That verve and transparency, explains both The Backseat Lovers' origin story—Harmon met Swanson while waiting in line for an open mic at Velour in Provo, and since neither of them got on the list to play that night, they sat on a park bench and played their songs to each other—and their immediate success. Less than a year after that fateful night, the band took another crack at the Velour stage, playing a June edition of the venue's Battle of the Bands contest. This time, fresh off the release of Elevator Days, they won over the judges and the crowd, claiming the coveted title and jumpstarting The Backseat Lovers' ascent. "That was definitely the start that we needed in terms of both confidence in ourselves and our credibility as a group," Harmon says. "Less than a month after the EP was released, a good chunk of the crowd was already singing along. That opened a lot of doors in the music community and helped brand our name as a legitimate band." Not bad for a new band with a short five-song set, recorded half in the band's original home of Heber City, and half at Pale Horse Sound in Sugar House. The catch is that everything on Elevator Days—along with subsequent singles like "Maple Syrup," "Sinking Ship" and "Pool House"—is rooted in the deep emotion of young artists struggling to find their outlet. 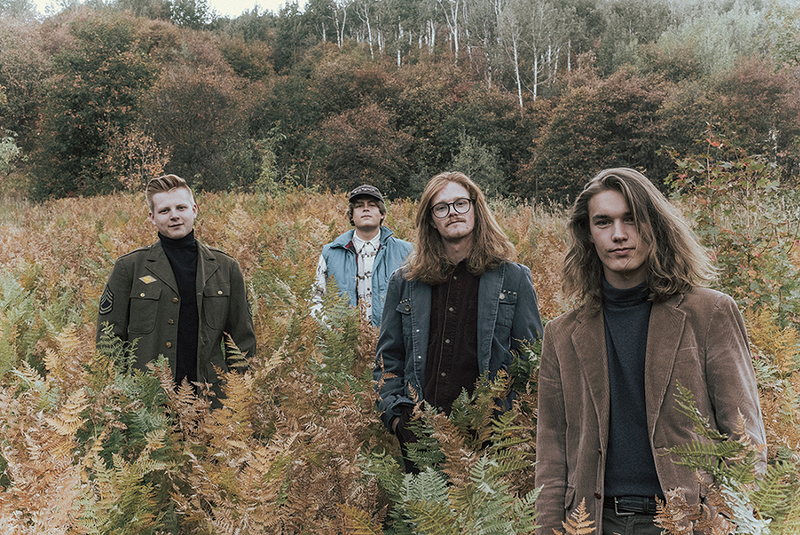 Like the country-tinged emo-punk of Pinegrove and the R&B-bathed rock of Alabama Shakes, you can hear the desperation, the ecstasy and the ennui in every note The Backseat Lovers hit. It's authentic, incisive and irresistible—no matter the genre. What more can you ask for? "As a group, our chemistry has grown the most in the short eight months that we've had to play together," Harmon says. "You can see it reflected in our songwriting and overall cohesiveness when it comes to collaboration. As people and as musicians, we've grown a lot closer. I think that's one of the most important parts about being in a band." That extra level of cohesion is apparent on The Backseat Lovers' 2019 full-length debut, When We Were Friends. Boasting a heightened level of sonic excellence and instrumental precision, it's still rooted in reflective nostalgia. "The songs are all written from honest personal experience," Harmon says. "Some date back to when I was 16 years old, and some back to just a month ago.On our first EP, I wrote all the songs, but since then, the writing process has become extremely collaborative. Recording the album, we learned so much and can happily say we wouldn't change a thing. We're very excited to keep challenging ourselves while writing and recording even better music." The biggest challenge for The Backseat Lovers so far has come with expanding their tour profile. While they relish the shows they've played at Velour and Kilby Court, true growth occurred when they ventured north through Logan and into Idaho—and played in front of bigger, newer crowds. "Rexburg was different but very positive," Harmon raves. "The people there were accepting and we had a fun show playing to a crowd that didn't know us; it felt like we needed to earn it and play our hearts out. It was a good way to dip our toes into touring." On the heels of their sold-out album release at Velour in January, the group now ventures to California for the first time, with shows at the Fox Theater in Pomona on Feb. 15 and the Moroccan Lounge in Los Angeles on Feb. 17. "Our biggest short-term goals are focused around growing outside of Utah," Harmon says. "With the release of our new album, we're planning to do everything we can in 2019 to spread it as far nationally as possible." The quartet plans to move into a house together this spring to focus on writing new music and saving money for national touring, with their sights set on bigger festivals and outdoor venues here in Utah as well. Beyond that, The Backseat Lovers have big dreams. By 2020, their goal is to move from part-time to full-time musicians. "We want to give the music everything we've got," Harmon says. "We want to push ourselves to our creative limits and, in return, be able to sustain ourselves." If their trajectory, highlighted best by the evolution from Elevator Days to When We Were Friends, is any indication, that shouldn't be a problem. "It has always and always will be about creating bigger and better music with every release," Harmon says. "When it all comes down to it, the songs are what matter most."